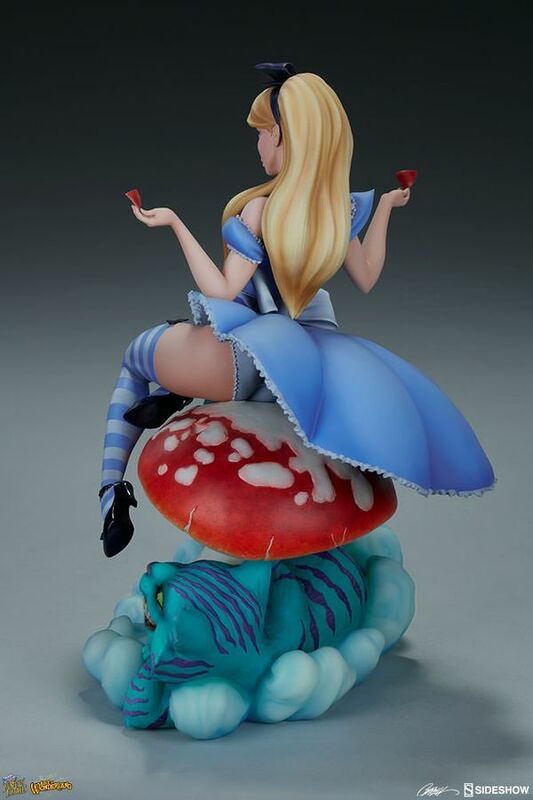 The Alice in Wonderland Statue measures 13.5” tall, as Alice sits atop a red dappled mushroom in the midst of the magical world of Wonderland, holding two segments of the size-changing toadstool in either hand. 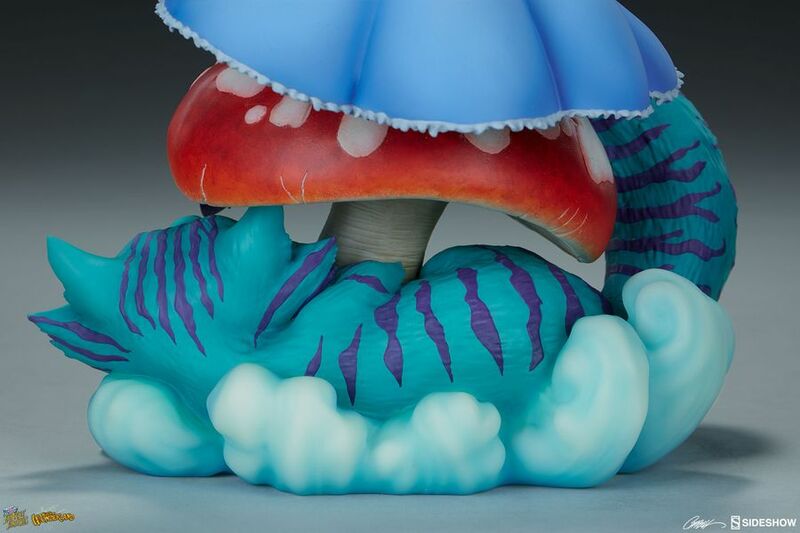 From the base of the figure, the blue and purple Cheshire Cat gives its famous toothy grin as it cleverly blends into the whimsical environment. 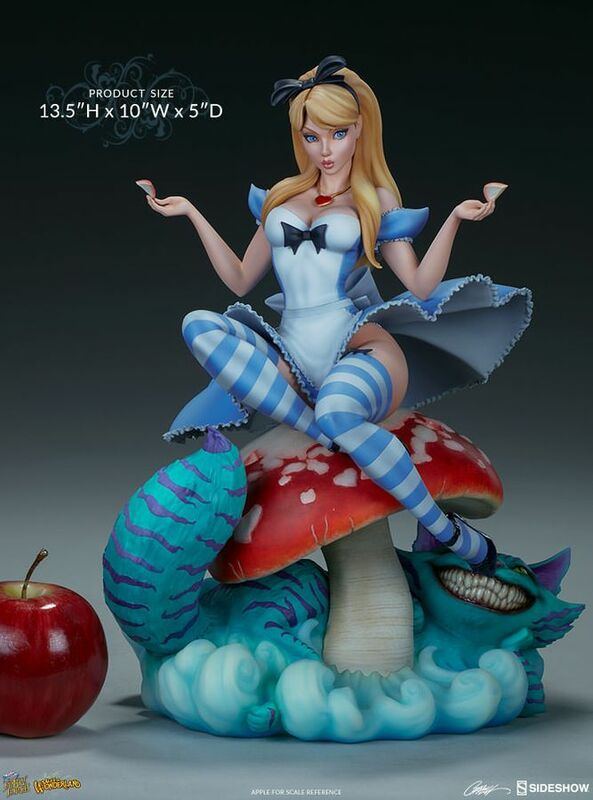 Alice has been carefully sculpted to translate J. Scott Campbell’s widely-adored style into a three-dimensional work of collectible polyresin art. Alice’s portrait captures both her beauty and surprise as she tumbles into Wonderland, and her sculpted blue and white frock and thigh-high stockings give an updated pin-up flair to this classic character. 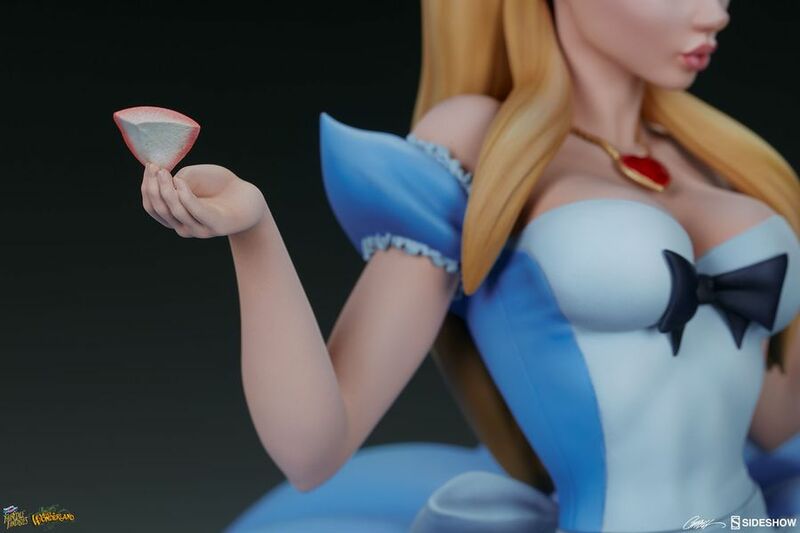 The Exclusive edition of the Alice in Wonderland statue includes a metal art plate and matching stand featuring Campbell’s concept designs for the character- perfect for displaying alongside the statue. Don’t be late! Don’t delay! Add the Alice in Wonderland Statue to your collection today!